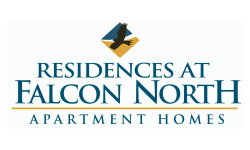 response from property - Jul 07, 2016 We strive to be the premier luxury community in Colorado Springs, and receiving your feedback is truly gratifying! I absolutley love living her, the managment staff is amazing, Nathan and April are the best ever submitted by Paul H. - Jun 13, 2016 |Recommended: YesIt is quiet, clean, people are friendly, staff is wonderful, I am proud to call this home. Overall, we really like these apartmentssubmitted by Tessa C. - Jun 10, 2016 |Recommended: YesVery friendly, courteous, and responsive staff. Awesome well-heated pool and Jacuzzi with a beautiful surrounding area, complementary BBQ gas grills, and great club house with pool tables, arcade game, and more, plus a well equipped and nicely designed weight room. A variety of spacious and varied layouts we chose the 2 bed with a den because the rooms were separated with common area between . The only thing is that the kitchen layout is a bit strange I would have put the dishwasher on the other side since you can't open it and the oven you can open it and get into the cabinets above to put away your dishes... Valet trash service - its a great idea and it's nice not having to take your trash to a dumpster, and it is much prettier cleaner of an area without the dumpsters, however it is also kind of a pain because when you have things larger than the trash can say a pizza box you aren't supposed to put those out... but there is no where to throw them away unless you take it somewhere... not very convenient. Overall I don't hear my neighbors, except, unfortunately, just above my bedroom. Maintenance is responsive, but I have not had the best experience due to some work being contracted out and had to have them come back and fix it. Landscaping is nicely done, and the central playground and the dog park are a big plus. Of course you run into issues where some neighbors don't clean up after their pets, but luckily most of us do so there are conveniently placed receptacles for pet waste with bags provided. Neighbors that I have met have been generally great. Very safe and nice place to live, and the elementary school literally right behind the apartment complex is very convenient and a great school. Overall, we really like these apartments. They were priced competitively for the area and well-equipped with amenities. Could there be improvements, certainly, but overall we are satisfied and happy we chose to reside here. Great place to live and great Managementsubmitted by Robert L. - Apr 28, 2016 |Recommended: YesThe management and maintenance staff here is professional, friendly, and efficient. The pool and gym are some of the best of any place I have lived. One of the managers, April, is probably the reason things run so smoothly here. She is the first face you see when you walk in the office and she can usually help you with anything. The rest of the staff is also great but April really stands out. It is good for a short period of time, but not long term. submitted by Paul D. - Apr 06, 2016 |Recommended: YesI would tell them overall it's a decent place. The staff at the office and the maintenance people are very nice and helpful. The parking situation is brutal and it would great to have the spots lined as people take up too much space. Outside of that, it's overall pretty quiet and people are generally friendly.